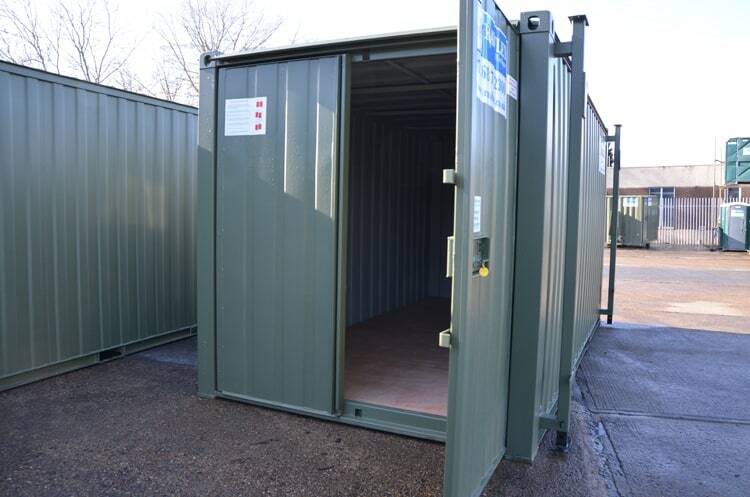 For added site security and where you need site storage and office space we have combined both to bring you the 24ft 50/50 Split Office/Store. 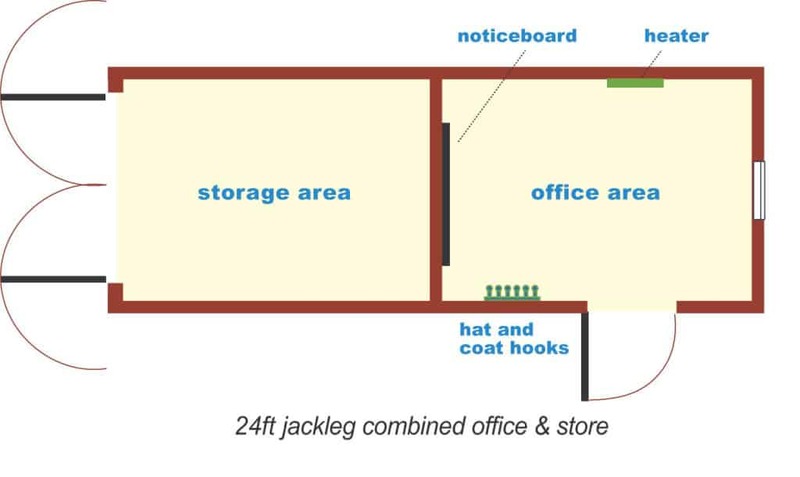 As well as double width, double locking secure doors and door stays, our 24ft 50/50 Split Office/Store combines a site storage area with an office securely built inside the unit. Store can be supplied with racking if required. Please ask us about racking when you call. Supplied with access steps for all areas. No. The secure storage container does not have lighting or a requirement for a power supply.